(Newbury MA) The fall foliage is always special at Old Town Hill in Newbury. Today, however, something else was also special. What was it? 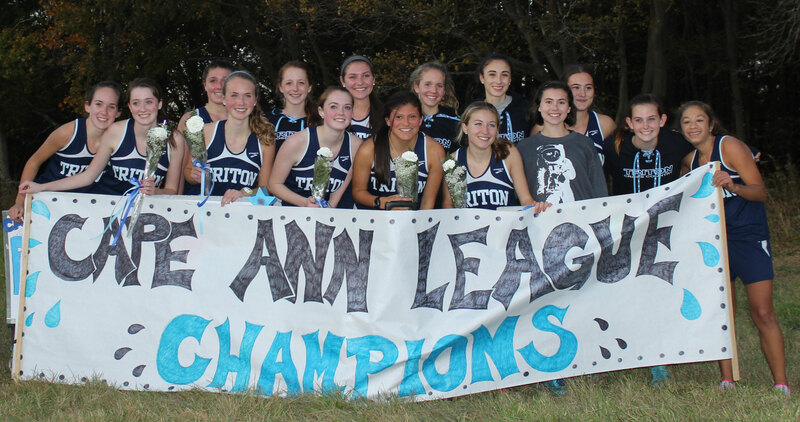 A championship banner with the Triton girls’ cross country team behind it. 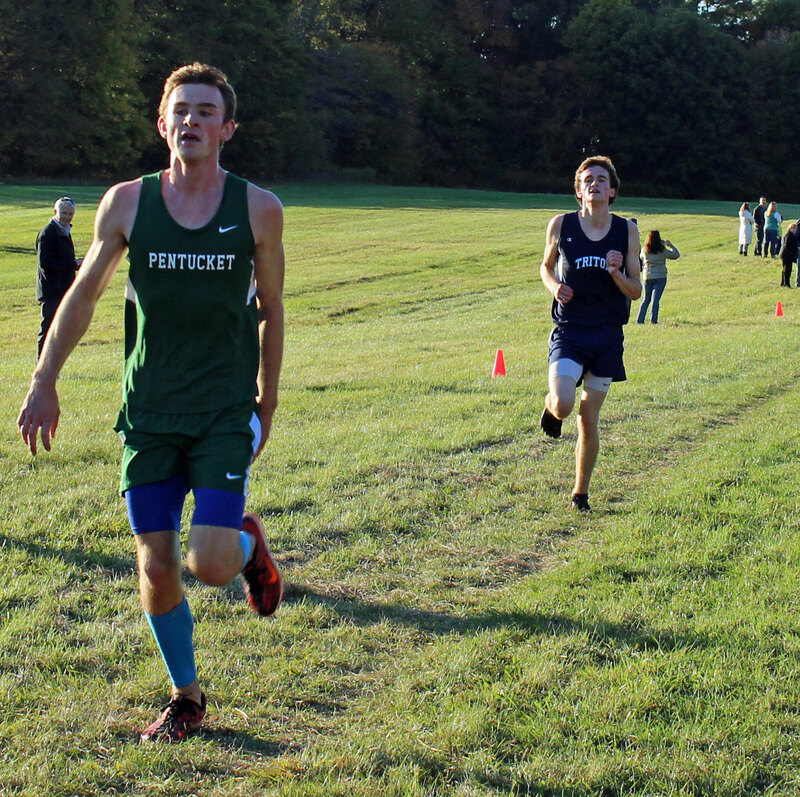 After twenty-nine years of trying, the Vikings have now won a Cape Ann League Kinney division title. 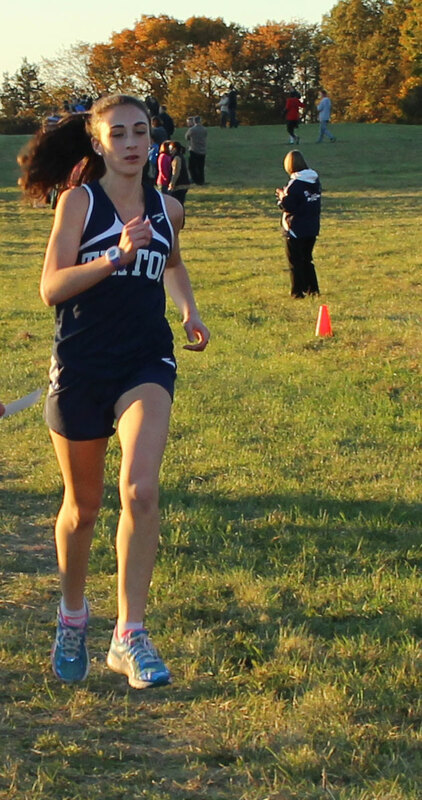 Led by Maddie Quigley (20:46), Triton went 1-2-3-6-7 to defeat Pentucket (5-5) on a sunny, cool Monday afternoon. 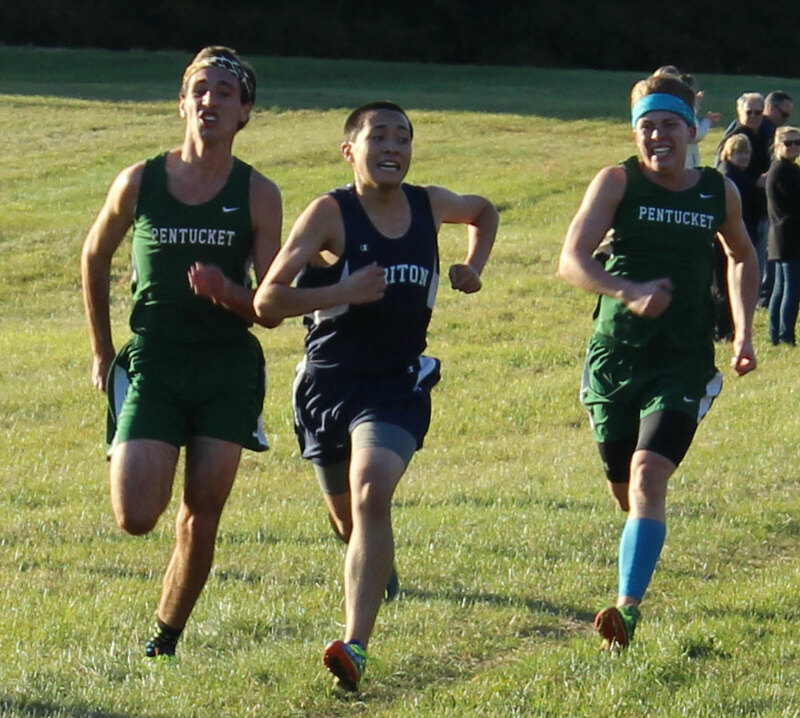 The Pentucket boys’ team got the best of Triton (3-7) as senior Sam Coppola took first to lead the way for the Sachems. The visitors from West Newbury captured 1-2-3-7-8 to finish the regular season 6-4. The big story was Maddie. 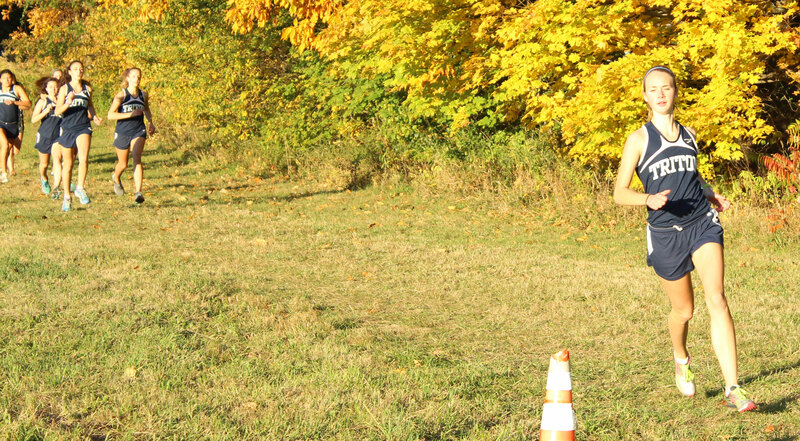 The talented senior ran alone almost from the get-go and seemed to enjoy her last trip through scenic Old Town Hill. 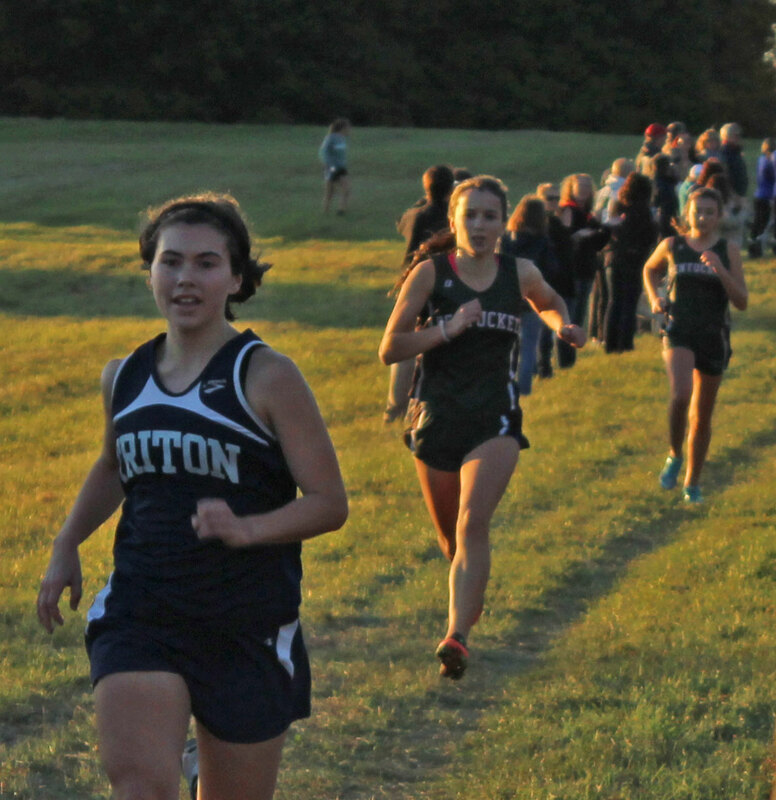 It will be interesting to see what happens in the girls’ division of the Cape Ann League cross country championships at Bradley Palmer Part on Saturday. 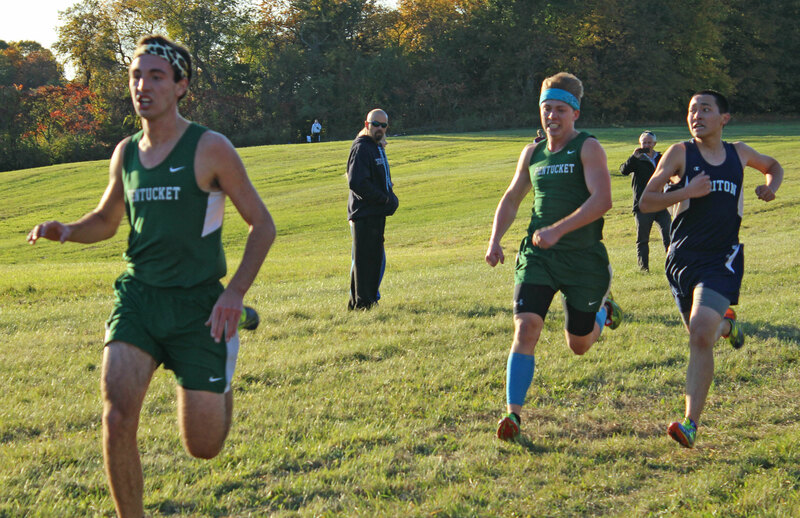 Triton (8-2) will have a change to avenge both of their losses. 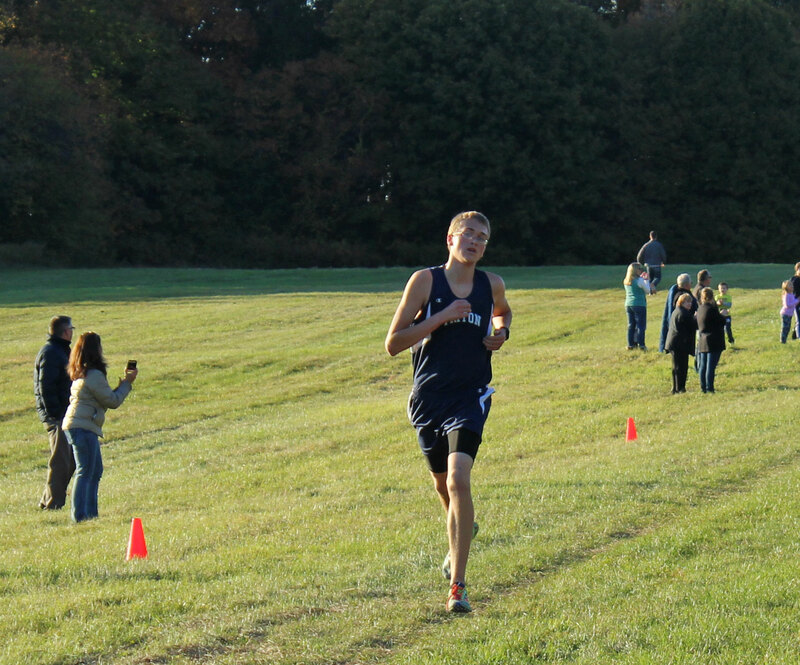 When you lose only by one point to both Hamilton-Wenham (10-0) and Manchester-Essex (9-1) you have to think you have a good chance to do something very special on Saturday. 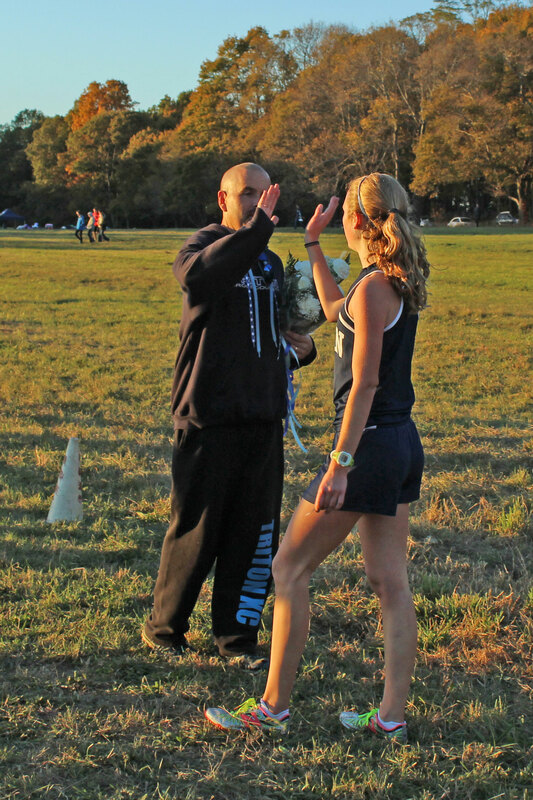 Maddie should be the favorite in the race. 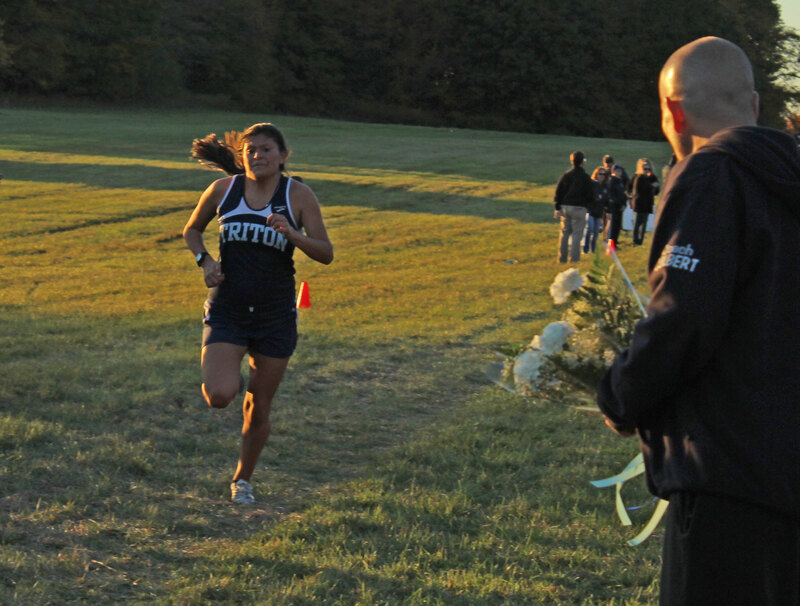 Triton’s chances will hinge on where their next four runners come in on Saturday. 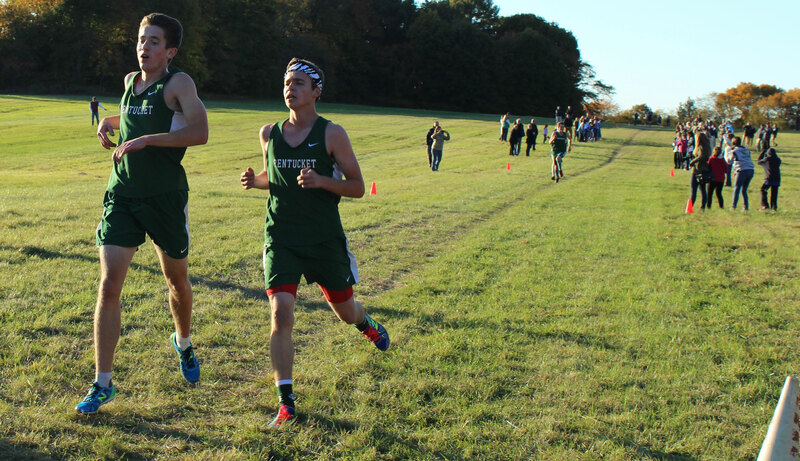 Senior Sam Coppola was credited with winning the boys’ race but he and teammate sophomore Nick Murphy crossed the finish line together. Sam was closest to the young man handing out the position sticks and so he got the first one. You won’t see anything like that happening on Saturday at Bradley Palmer. Nice of several members of the 1986 Triton cross country team to take in the race and pose with the team later. Henry Sheldon was the coach then. 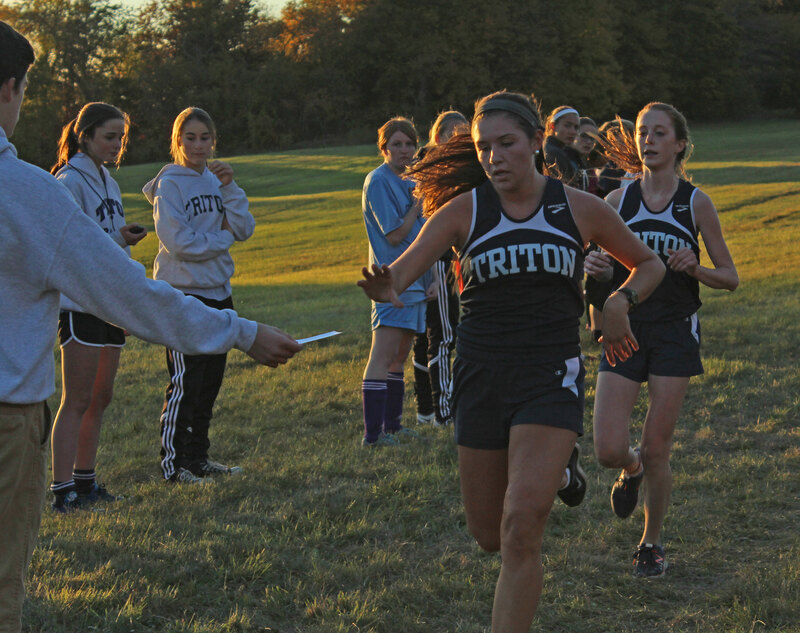 Although the Triton girls were only 4-6 in 2014, they entered 2015 with their top ten runners returning. That sizable nucleus has turned 2015 into a very special season.